So we finally made it! We made it to the last of my Italy travel posts (a 4-part series, whew!) and so what better way to end it than in the place which gave us the reason to go to Milan! And the main purpose why we travelled all the way here is because of this ONE VERY PARTICULAR RESTAURANT. 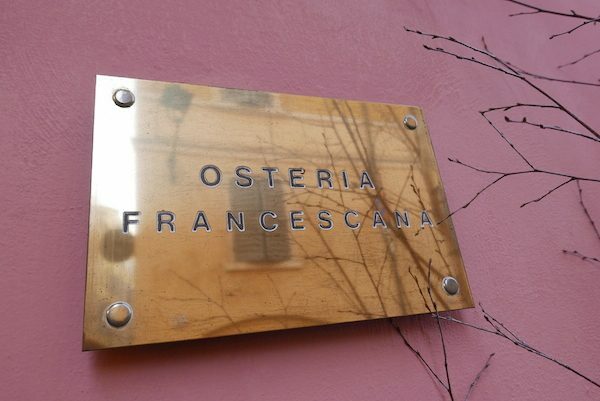 OSTERIA FRANCESCANA, the restaurant named in 2016 as the NUMBER 1 RESTAURANT IN THE WORLD (beating all other bests from other countries) is located right here in a quiet street corner in Modena. One thing you should know about me : restaurant hunting has always excited me! Eating — or in today’s millenial world, “fooding”, and tasting different cuisines or trying new dishes — have always been my passion. So yes you may say that I am quite lucky to have eaten in some of the best restaurants in the world. But let me correct the notion that I only eat in fine dining places or Michelin starred restaurants. 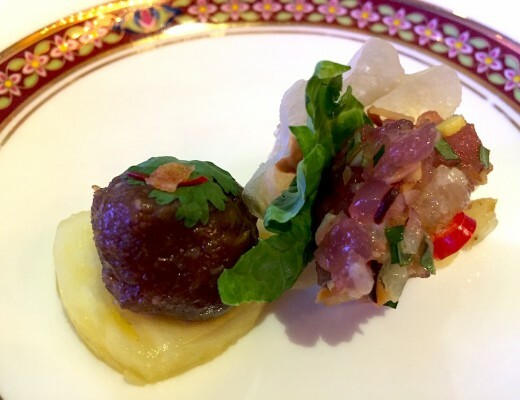 Truth be told, I actually eat anything and everything, and from anywhere too — from street food to molecular inventions, from local junk to artisanal chocolates; from very casual, laid-back places to high end, highly rated restaurants with award-winning chefs. So if you have been reading this blog for some time now, you probably know that last year, I also had the wonderful experience of eating in NOMA, a restaurant awarded for several years as the World’s Best Restaurant. (I wrote about that story here.) 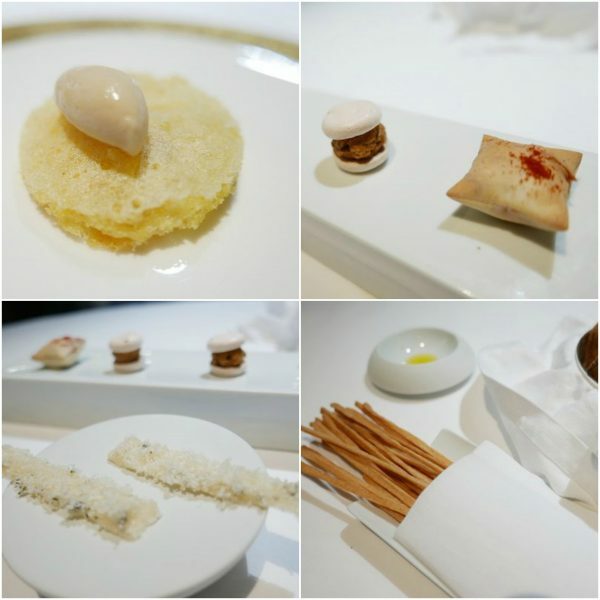 It was therefore natural for me to have the new Number 1 for 2016, Osteria Francescana on my next must-eat list! So let’s get it on and fast forward to that happy day! Let me show you the dishes we had for lunch that day. We started with 3 different kinds of amuse bouche… plus some homemade bread and extra long crisp grissini with Italian extra virgin olive oil on the side (of course) for some dipping! 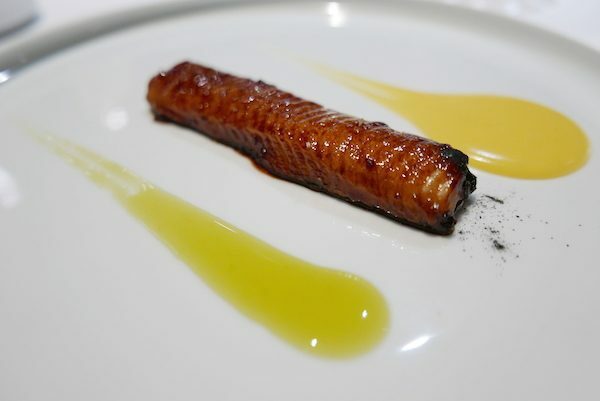 Grilled eel with burnt saba onion and charcoal salt, served alongside polenta and apple jelly. 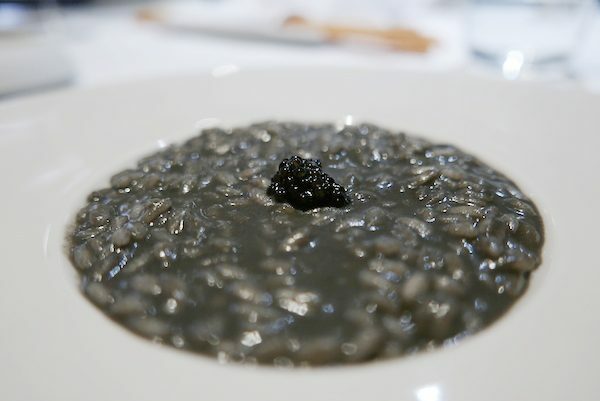 Risotto soaked in seafood broth with an intense flavor of oysters, topped with a spoonful of osetra caviar. 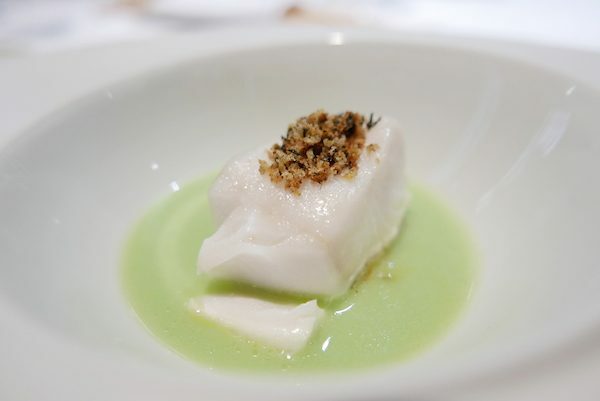 Cod fish cooked perfectly well and drizzled with green tomato dressing. 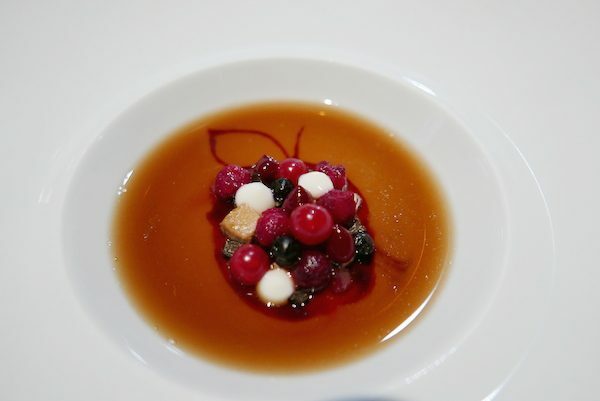 A dish that reminded me of the Big Apple, as it prominently featured the shape of the apple, filled with a couple of seasonal and fruity ingredients within a broth. One of the restaurant’s most famous dishes. Pasta filled with meat and dressed in aromatic and aged 36 months parmesan cream! This recipe had its origin in this restaurant and is replicated by a lot of Italian restaurants all over the world — no wonder this dish looked too familiar! It looked pretty simple but one bite alone convinced me I was in Italy AND that I was indeed dining in the World’s Best Restaurant! Another no-frills and very simple looking dish — quite surprising I must say for a multi-awarded restaurant like this. But this pork belly was deliciously tasty and crunchy, and it was served with just the right amount and flavor of pickled vegetables on the side! 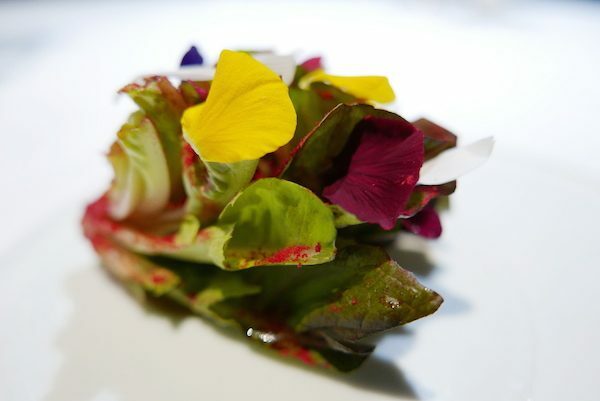 A pretty salad made of edible flowers and fruity powders perched on a lettuce leaf. 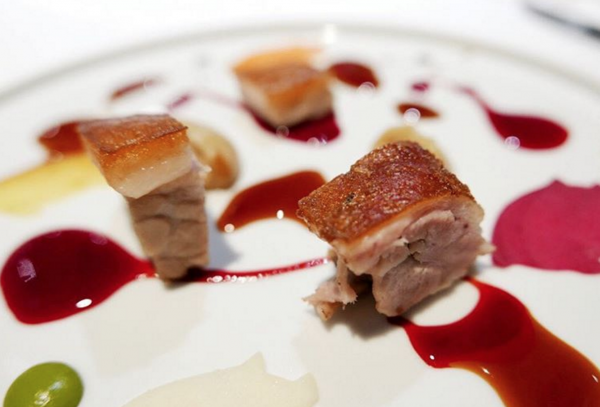 A dish meant to cleanse or balance out the richness of the pork belly served before it! Our refreshing dessert. Mini bright yellow rounds covered with a pineapple coating that burst in the mouth and revealed a surprisingly cold lemon sorbet in the middle! 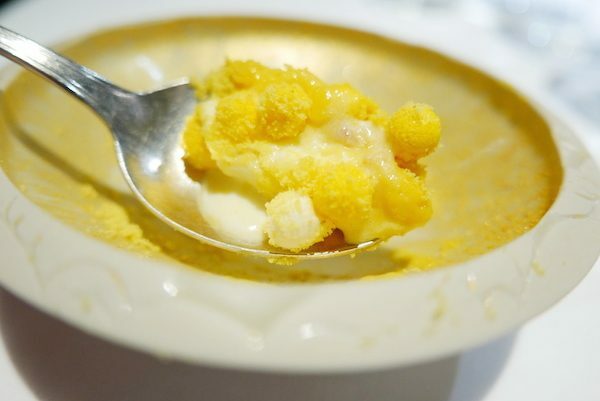 A straightforward dessert but when deconstructed, you realize it’s made up of a lot of things : sponge cake in the middle, crushed meringue on the sides, extra virgin olive oil on top, saffron, lemon, and a powder of gold glitter all around! 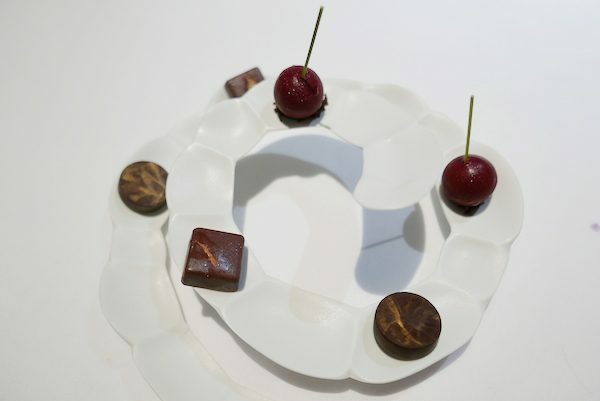 Last but not the least, petit fours made with different kinds of chocolates. Some looked like cherries but were actually little black forest cakes made with chocolate and topped with cherry popsicles that popped in the mouth and had a creamy center! All in all, yes I would say every course was excellent and made with a lot of experiment and thought, but it’s still the memory of eating every dish, plus the experience of being here in the World’s No.1 that will surely last me forever! 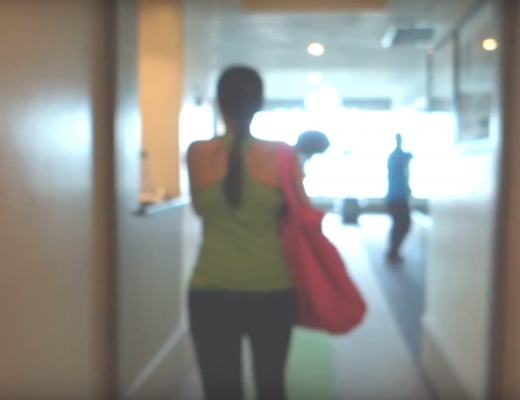 Here are the more fun parts of this dining experience: the behind the scenes! He gave me a tour inside his kitchen, introduced me to all his chefs and teased me that they’re from Manila too! I guess he didn’t expect I had a good answer to that! LOL! I was literally crying here from too much happiness! I couldn’t believe I met, chatted, and experienced no less than the critically acclaimed and World’s Number 1 Chef and World’s Number 1 Restaurant in one day! It was a dream come true for me indeed! And just when I thought Chef Massimo had too much of me already (after all, I’ve been in his restaurant for a good 4 hours now), he saw me again, as he was exiting from the back side — probably his secret door away from all the curious tourists and paparazzi! But instead of shooing me away like a pesky fly who refuses to leave… he came up to me and hugged me again…and bid his goodbye — which I’m sure he was probably hoping to be the last time he will say goodbye to me! This particular day will forever be remembered as extraordinarily special in my history of dining in the World’s Bests. 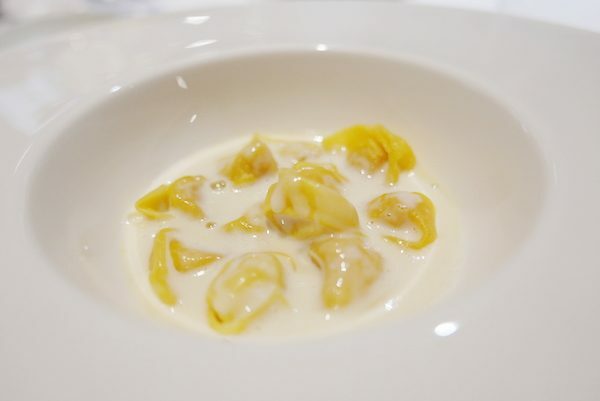 Not only did I get the chance to eat Osteria Francescana’s amazing dishes, I was able to experience too the real, authentic warmth and hospitality of the Italians. The food, ambience, service and the over-all feeling and memory left in my mind and heart on that day made my trip to the World’s Number 1 truly worth it! To see all my photos from this trip, click here or search the hashtag #TSMinMilan on Instagram!